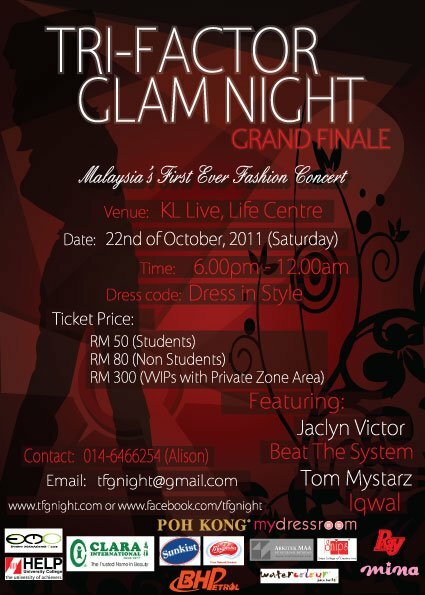 Coming soon this 22nd October 2011 over at KL Live, there is going to be this really happening fashion concert Tri Factor Glam Night. I for one didn't know a fashion show could incorporate a concert in it, so naturally this event really got to me. Where else can we catch beautiful people in beautiful clothings with awesome music if not at this event. Organized by students from HELP University College's Malaysia Events Managing Club, this will hail as Malaysia's first ever fashion concert. "Essentially the night will be the culmination of an intense fashion competition for students. But this competition is different in that it brings together three components of the fashion world, i.e. modelling, fashion designing, and fashion photography." "Teams of three, consisting of 1 model, 1 designer and 1 photographer, will compete for the title of TRI FACTOR GLAM NIGHT CHAMPION‟ and stand to win a cash prize of RM10, 000.00"
"This fashion concert features renowned guest judges from the fashion scene in Malaysia such as Gillian Hung (President of Malaysian Official Designers Association), Jacky Koh (Paddy Field Studio‟s Photographer), Eleen Yong (Asian Supermodel), Micheal Ong (Avant-Garde Fashion Designer) and Amelia Tan (Owner of Starmaker Talent Agency)." "Performances on that night will feature a list of big names such as Jaclyn Victor, Ning Baizura, Iqwal, Tom Mystarz and Beat The System." Contestants were selected through a rigorous process that tested their skills in various aspects such as catwalk and posing abilities for the models, photography composition for the photographers and fashion creativity for the designers. Grand Finale for TFGN will take place on the 22nd of October 2011 at KL Live. Interested parties can contact Alison Tee (014-6466254) or visit www.tfgnight.com or https://www.facebook.com/tfgnight for more information. I leave you with Tri-Factor Glam Night's promotional video. I'm all hyped up now for this event, are you? Frankly? Eyewwwwww....Janice can beat the models hands down anytime. No guys kah? You modelling? LOL!!! try to work out and get rid of the spare tyre. you can be a model. wow... so happening! I like Ning.. her voice is unique! 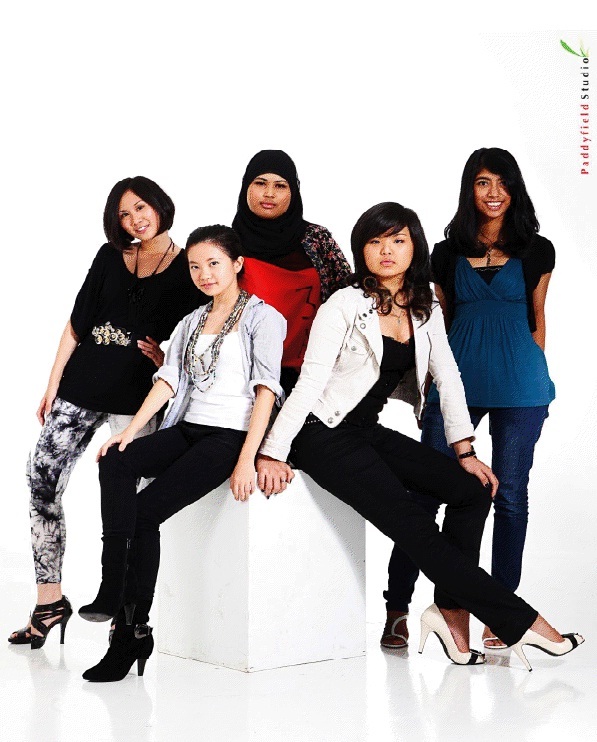 errrr, those models are also students from the college is it?? haha.. anyway, nice effort for them to put on the show.. bravo! !